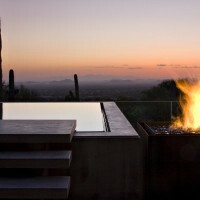 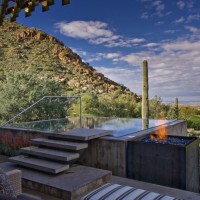 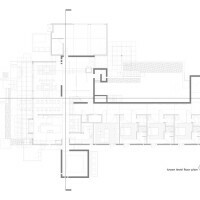 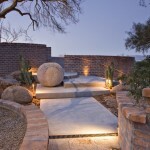 Jones Studio designed the Logan Residence in Scottsdale, Arizona. 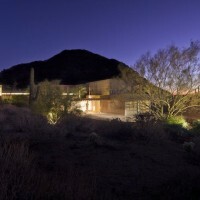 The Logan Residence is first a private museum, and second a personal winter residence. 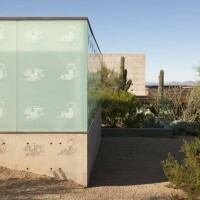 Their art is one of the top contemporary collections in the world, and the goal was to make the architecture an equally significant addition. 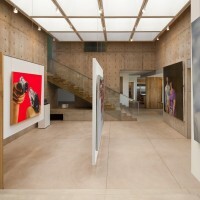 After several studies, it was mutually decided the program would be about multiple galleries, each with a different daylighting technique. 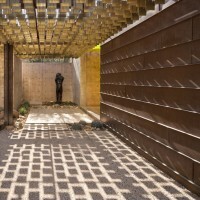 Passage below the metallic “golden aspen leaves” provides transitional entry shade and recalls the couple’s Vail, Colorado summer residence. 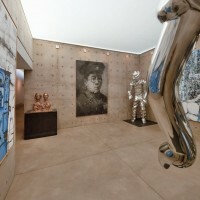 Upon passing through the front door, guests enter Gallery One. 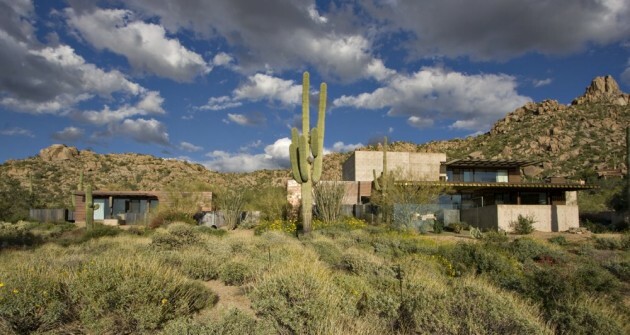 The Sonoran Desert is well known for its clear white light; however, it must be diffused to avoid damaging the art. 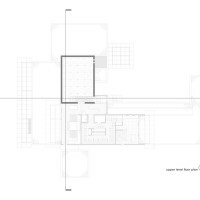 Six foot deep, parabolic white plaster shafts bounce and reflect light, evenly distributing it throughout the space. 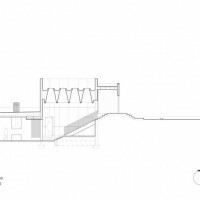 They begin as a circular oculus and warp to a square, integrating an adjustable electric lighting grid, which doubles as the mounting point for suspended art hanging walls, subject to relocation as needed. 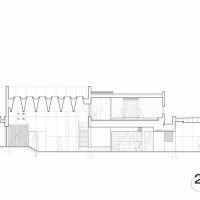 Gallery Two is easily perceived from its exterior as a glowing cube. 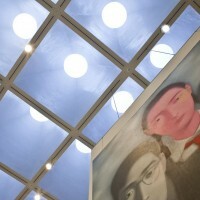 Natural light is diffused through a translucent film within the glass and a six foot ceiling cavity, finally striking a white, stretched fabric ceiling. 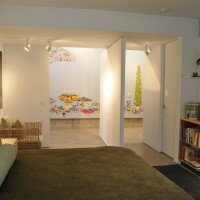 This further diffuses light, having been reflected up and down from the hard white ceiling above. 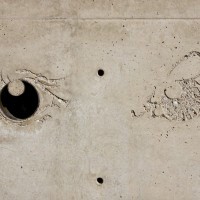 Gallery Three – the “black box” – has only a hint of natural light, integrated into and through the iris of the sandblasted eye pattern on the exterior cast in place concrete walls. 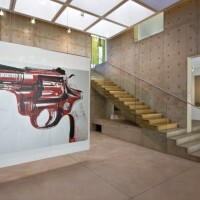 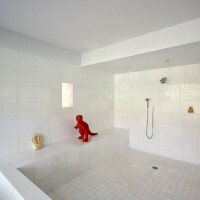 Architecturally, the eyes are used to strategically identify spaces in the house that contain only art. 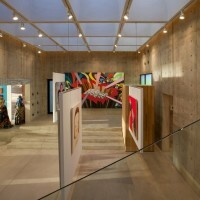 Gallery Four’s specific shape accommodates the famous 30 foot long Murakami painting; “Supernova” is naturally lit from a parallel clerestory above which gathers north light to reflect off of the opposite white bulkhead. 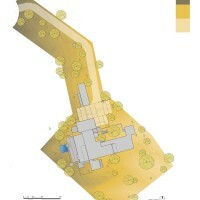 The unusual yet orthogonal building footprint assures the very least site disruption. 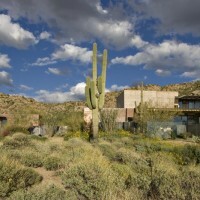 Every Saguaro was saved, every boulder, Palo Verde, and contour preserved. 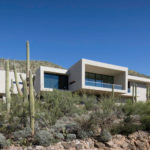 This claim is only possible when the architecture is inspired by its subordination to the landscape!